So finally, you have chosen Dubai for your career, which is probably a great idea! Dubai is one of the most beautiful cities of all time. It is indeed a land of handsome job opportunities and business prospects. In this case, every year many new expats arrive in Dubai, and their main concern is apartments for rent in Dubai. For sure, numbers of single executives and expats are looking for Dubai rentals, and they often end up their searches with tricky real estate agents, who charge them a very high commission for finding the right bed spaces in the city. Being new to the city of Abu Dhabi or Sharjah, it is advisable to read some excellent tips before renting a flat or a luxurious apartment in Dubai. Dubai apartment or flat lease options are generally for a year. When you are an expat here in Dubai, most of the real estate agents will draw your attention towards signing the minimum one year lease for renting an apartment in Abu Dhabi or Sharjah. This is the basic requirement and hence, most appropriate to go with. What should you ask your property dealer or broker while finding the right house for rent in Dubai? There are good, average and below average properties for rent in Dubai. Some apartments or houses turn quite appealing as they are newly purchased and yet not given for rent to any expat in Dubai; whereas some properties are quite old and are often rented to the single or married executives- due to which they do not seem appealing to your eyes in the first go. Hence, when you find the right bed spaces in Dubai; you need to understand the importance of filtering the properties. Filtration means finding only good location and condition properties for rent for expats and single executives like you. The second and very important thing to deal with your real estate broker in Dubai is about the negotiation of rent. The city of Dubai has very expensive properties for rent for expats, and hence, it might drain half of your earned salary after it. You must know the art of negotiation for finding the best rental property in Dubai at a very reasonable rate. The property manager should understand your basic requirements and should only show you properties that are worth for your living in Dubai. The next thing to take care while searching for Dubai rentals for expats is the different types of spaces and properties to live in. A very good rental provider or real estate agency will help with the studio for rent in Dubai for both boys and girls, Luxurious rooms, private rooms for rent and bed spaces for rent in different cities of UAE. These different room spaces help you choose the exact requirement for your living amenities in Dubai and helps you save a lot of pennies by paying for the needs, you have. The bed spaces alternative is especially for the students and single executives who are genuinely looking for cheap student housing in Dubai. There are different lifestyle options for the expats and executives in Dubai, out of which the choices are considered further. Dubai offers estate living (very popular amongst the expats), High-density living (good rental properties offer) and Suburbia (old villas and bungalows located in older cities of Dubai). The best property manager here in Dubai offers high-density living in Dubai at a very reasonable rate and with a lot of amenities. When you book your property with a reputed real estate agency in Dubai, you get: professional cleaning services, neat and hygienic flats and apartments for living in, no or low deposits, instant booking option, other value-added services, complete property security, quality crowding, etc. isn’t that enough to find the best landlord property in Dubai? The valuable property managers here in Dubai tries to deliver the standard requirements of the tenant by offering Clean AC rooms, modular kitchen, high-quality unlimited Wi-Fi, fully automated washing machine, semi or fully furnished rooms, good ventilation facility, etc. All these together make it a standard house for the tenant in Dubai. These are the well-maintained studio apartments in Dubai for the expats and executives like you. Once you are done filtering the right lifestyle spaces for you and the proper location and infrastructure, where you want to continue your stay in Abu Dhabi or Sharjah, the next important step is inspecting the properties. Either you are looking for shared accommodation in Dubai or single occupancy, you must learn to inspect the right properties by finding the details of the property management company. Do not get mislead by the attractive pictures of the property. There are property dealers here in Dubai who show appealing pictures of the property for attracting the wanted tenants. Our advice to the tenants wanted here in Dubai is always go for the live location inspection. Never hurry in depositing the money by merely having a glance over the pictures of apartment or houses for rent in Dubai. Some real estate agents are frauds, and they mislead students and expats by showing irrelevant pictures of the property. Bachelors or expats in Dubai are facing really hard time while searching for the right apartment or house for rent. This issue is quite common amongst the students as well as the single executives for which few real estate agents take a lot of advantage by charging them higher rentals for an average flat or apartment in Dubai. There are some valuable and genuine property management and advertising portals in Dubai that understands the issues of the single executives or expats in Dubai and helps them to get the best bed spaces in Dubai for a reasonable rate. All they want is to help the newcomers at Dubai by providing them with comfortable living spaces with the required amenities and facilities at an affordable price. What is the minimum standard requirement offered to the tenants in Dubai? To have a happy home is everyone’s requirement in the world. Here in Dubai, there are some great property management companies, who help spinsters, bachelors and executives in Abu Dhabi and Sharjah to locate the best houses for rent meeting the minimum standards of living. The minimum standards ensure a healthy environment and surrounding followed by a semi furnished flat or apartment for a comfortable and luxurious lifestyle. The bachelors or executives, who are working here in Dubai are hardly finding time for themselves, and hence, they need to locate the rental properties that have basic or minimum requirements such as a modular kitchen, washing machine, AC bedroom, good washrooms, less crowding, etc. for living a healthy lifestyle. The studio apartment for rent in Dubai meets the minimum standards of requirement and helps the executive to live a luxurious lifestyle. It is indeed the most necessary and basic needs for any working bachelor in Dubai. The working bachelors or executives are interested in finding the long term rentals or apartments in Dubai for avoiding the mess of shifting and moving an address from one place to another. There is working class in Dubai who invests only once in the property and decides to continue with the rentals for the rest of the years; they are spending in Dubai. Even the landlords are looking for long term tenants in order to avoid the hassles of finding new tenants every upcoming year or 6 months. What does your landlord want from the expats? 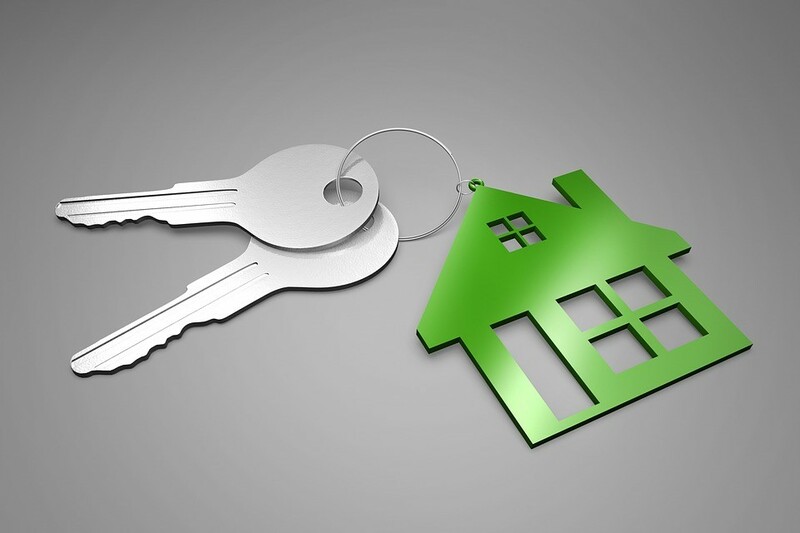 The landlord property management cycle is quite simple; they are interested in long term tenants even by offering a discounted rental agreement in order to save the time, money and energy for finding new tenants at the end of every 6 months or 1 year. Also, the long term tenants guarantee regular income to the landlord, which is pretty beneficial for the landlord’s investment in properties. A long term property finder in Dubai will help with a peace of mind to the landlord by saving him from paying the bills and unnecessary maintenance expenses of his vacant property. Hence, a long term tenant is what any landlord is looking after for his new or old vacant property investment in Dubai. If you are the tenant looking for the long term apartment for rent in Dubai, you can always talk to the landlord prior to paying the deposit or rentals of your long term occupancy. Also, before the expiry of the current lease or contract, you can reach out to the landlord for the continuation of the same lease or contract with you for the upcoming year or numbers of the month. Is trust a basic issue while finding the right rental apartments in Dubai? Trust is the primary thing that both the tenant and the landlord has issues during the beginning of the new lease or rental contract. Being a responsible tenant, you need to inspect the property physically before signing the contract. Things such as broken windows, painting issues, scratches on the wall or furniture, non-functional AC, etc. need to get repaired before you decide to shift in the apartment. Also, such things affect the amount of rent charged per month from you by the landlord. On the other hand, the landlord also clearly finds out your tenant history before blindly trusting you as his/her tenant. Hence, maintaining trust and honestly from both sides is good for maintaining a healthy tenant and landlord relationship here in Dubai. When you hire a luxurious villa or studio for rent in Dubai, you get access to many lifestyle amenities and facilities comparing to the normal bed spaces in Dubai. Such studio apartments are little costlier than regular bed spaces or flats in Dubai. It is indeed the choice of the tenant to choose his apartment or flat for rent in Dubai as per his choice and comfort. There are really good advertising portals and agencies in Dubai that offers luxurious style apartments for rent for bachelors and spinsters in a very economical rate without any fixed deposits. You can search for such valuable portals online for getting maximum benefits of your long term stay in Dubai. When you are looking for the right bed spaces or apartment in Abu Dhabi or Sharjah, you need to make sure to take into consideration the less known facts for your rental requirement. You must be sure about the locality and your comfort with it. Also, the locality must be near to your workplace in order to avoid heavy travel allowances or fuel charges. Again, the kind of neighbours you have plays an important role in delivering mental peace at home. The living room of the apartment should be airy and have enough sunlight to give a brighter appearance. Also, you need to ask the landlord about the parking of your two or four-wheeled vehicle, which is indeed a prime requirement while shifting to an apartment or studio in Dubai. You need to inspect the nearest pharmaceutical store, the clinic, the grocery store and the gym for experiencing a better lifestyle. Other things such as flat maintenance and pet policies are to be checked with the contract or lease before shifting to the apartment. Always look for quality location and clean apartments for rent in Dubai in order to live a better lifestyle. Home is considered as the temple of peace and satisfaction; you need to have a great home place for working higher in life. 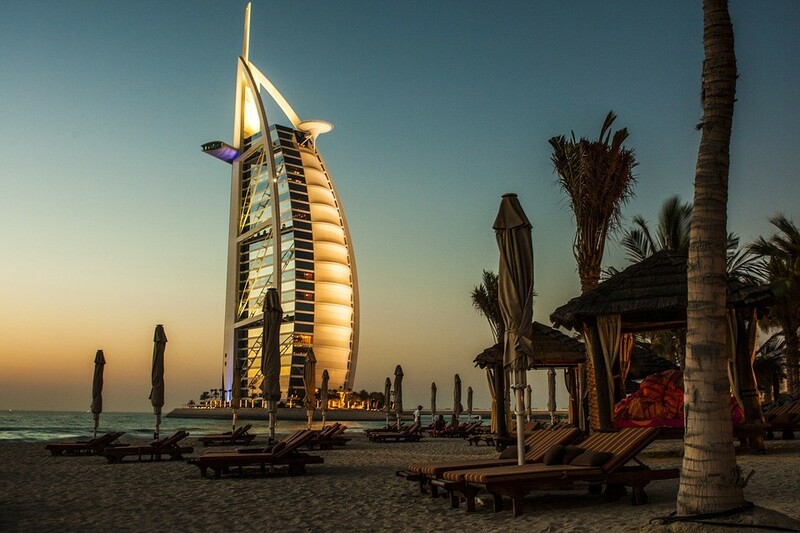 Understanding the lifestyle and locations before inspecting properties in Dubai. Troubles for the bachelors and expats to locate the right bed spaces in Dubai. Considering each little requirement of the tenant before shifting to a rental apartment in Dubai.